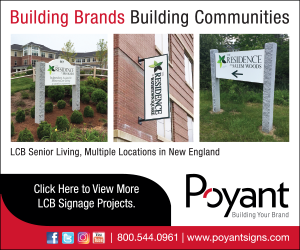 Boston – BSC Group, a New England-based planning, design, and environmental science firm, has promoted David Biancavilla, PE, LEED AP, and Sean Ewald, PLS,to the position of principal. Biancavilla is a civil engineer with more than 20 years of experience managing projects ranging from public infrastructure improvements to campus enhancements for public and private colleges and universities. He has taken a leadership role in the design of resilient solutions to prepare for the impacts of climate change, both to achieve enduring projects and to meet the changing regulations associated with climate adaptation. Ewald balances tradition with innovation for the collection and documentation of spatial data. He has pioneered the use of advanced survey methods, such as drone technology and three-dimensional modeling, to efficiently and cost-effectively meet client needs. Leading consecutive on-call contracts for large agencies like the Massachusetts Department of Transportation, the MBTA, and Massport, Ewald directs one of New England’s largest survey practices.